Another busy legislative session has drawn to a close and we are so thankful for the hard work of our 2019 lobby team. As you know, our team works on a tight budget which relies on donations. You, as a WVEC supporter, can be sure you are getting your money’s worth with each donation you make. The majority of our annual budget goes to fund our expenses during the legislative session. But we do have work to do throughout the year, such as monitoring legislative interims and educating the public. Please support us with a post-session donation, providing us with financial stability for the remainder of 2019, so we can prepare for the work ahead. You can help assure continuation of our year around work by making a contribution to WVEC via PayPal or credit card at: https://wvecouncil.org/join . 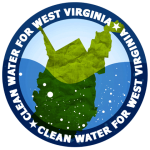 Or you can mail a contribution to: WV E-Council, PO Box 1007, Charleston WV 25324. We couldn’t do it without you and your support! We need more transparency in WV elections, not more money. 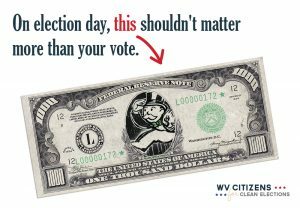 Despite the way practically every West Virginia voter, regardless of their party affiliation, feels about the state of our politics and money’s role in it, West Virginia politicians charged ahead with SB 622 — the bill no one asked for. No one except wealthy special interests of course. SB 622 dramatically increases the amount an individual can give to a candidates, political action committees and political parties. Yet most West Virginians can’t afford to give $1,000 to their favorite candidates, let alone the new, nearly tripled upper limit of $2,800. So it’s worth asking: Who wants these higher limits? That is simple enough to answer: on one hand, politicians who would rather attend ritzy behind-closed-doors big-money fundraisers than actually knock on doors and raise money from regular West Virginians. The other big beneficiary? The wealthiest few who can afford to donate more than $1,000 to a state candidate in both the primary and general election (would be raised to $2,800 for each) and the big-money special interests who can afford to give state party caucuses more than $1,000 (would be raised to $10,000 per calendar year) and Political Action Committees (PACs) more than $1,000 in both the primary and general election (would be raised to $5,000 for each). We want our elected officials to listen to us, the people — not wealthy special interests. SB 622 goes against this will. What is more, we deserve to know who is trying to influence our representatives and their votes with their big-money donations. That is why it is especially egregious that Republican lawmakers in both the House and the Senate rejected an amendment that would have closed loopholes in our laws that allow groups that spend money on political ads to hide the identity of their donors. We have contribution limits to prevent corruption, but the other important function of contribution limits is to ensure that all West Virginians, no matter how much they make, have an equal voice and equal representation with their state elected officials. SB 622 violates this fundamental principle of fairness by giving a greater voice to the wealthy and special interests that try to buy our elections, and that’s wrong! *Special thanks to Selina Vickers, a volunteer citizen advocate that cares about fairness and democracy and the WV Working Families Party for initiating this letter campaign.